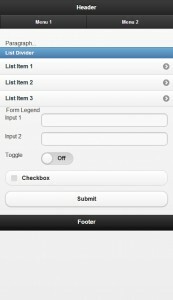 Here’s a quick tutorial on jQuery Mobile. We’ll start with a standard HTML file, then add the jQuery elements in. Code and comparisons are provided. Just like the official jQuery documentation, we will be using div instead of the newer HTML5 semantic elements like header and footer. You can use the HTML5 elements, but remember to use HTML5 shiv if you want to support older browsers. 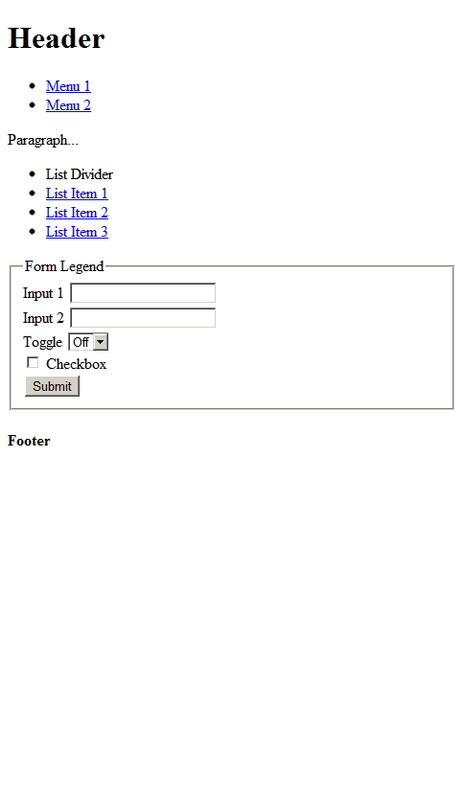 We start with a standard HTML with a header, menu, list, form and footer. It looks like this. Next we add the HTML5 data attributes in. These attributes are used by jQuery Mobile for markup-based initialization and configuration of widgets. 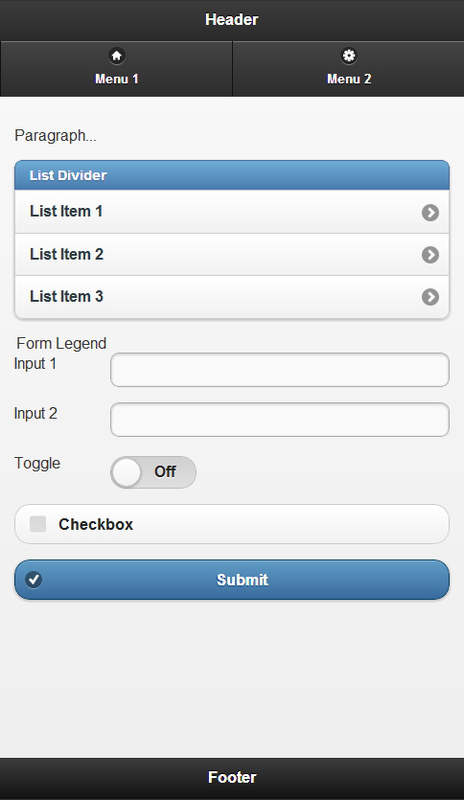 We add it in the page, header, navbar, content, list, form, and footer. 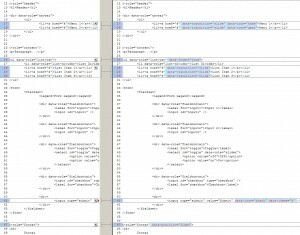 Here are the difference between the original HTML and the HTML with jQuery. Our page now looks like this. The code is now. 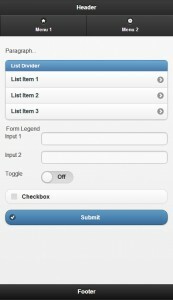 For more information, read the jQuery Mobile demos & documentation and play around with Codiqa, a prototyping and interface-building tool for jQuery Mobile. 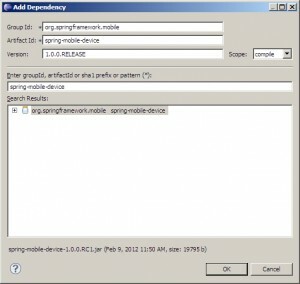 This is a quick tutorial on Spring Mobile 1.0. 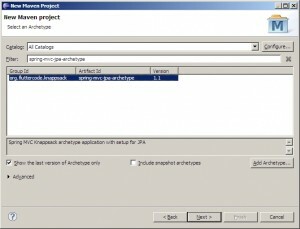 You will need Eclipse with m2e to follow the steps below. 1. 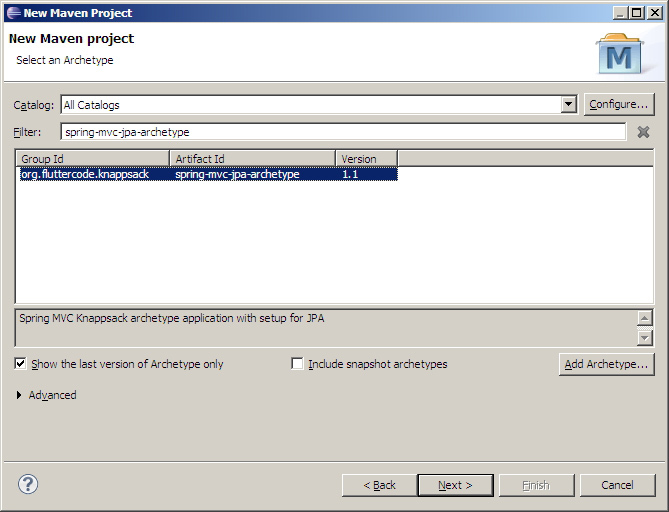 In Eclipse, create a new Maven Project using the spring-mvc-jpa-archetype. 2. Add the spring-mobile-device dependency to pom.xml. 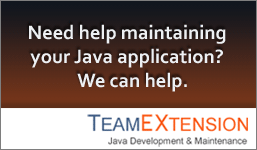 Also add the java servlet API, which we will be used to import HttpServletRequest in the unit test later. 3. 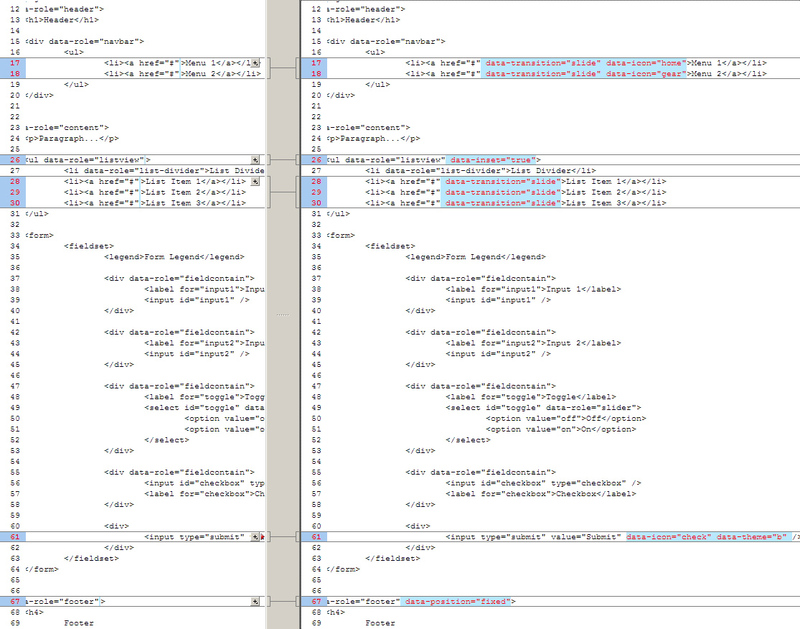 Add the following Spring Mobile interceptors in servlet-context.xml. These 3 interceptors enable device resolution, site preferences, and site switching, respectively. Device resolution tells you if the user is mobile or not. Site preferences gives the user the ability to switch between mobile or desktop. Site switching gives you the ability to redirect users to a dedicated mobile site. 4. 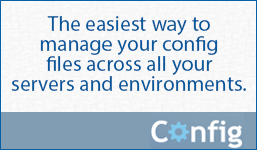 The resolved device is available under the currentDevice request attribute. 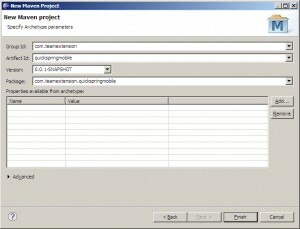 The site preference is available under the currentSitePreference request attribute. You can pass the current Device to your @Controller methods by configuring DeviceWebArgumentResolver. 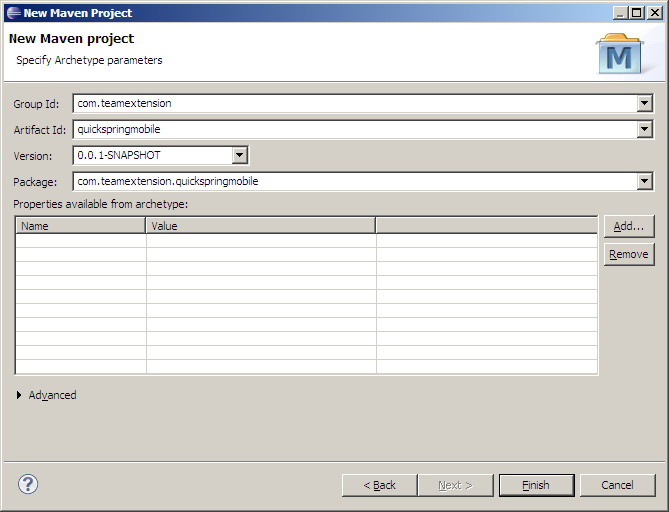 You can also pass the current SitePreference by configuring SitePreferenceWebArgumentResolver. 5. 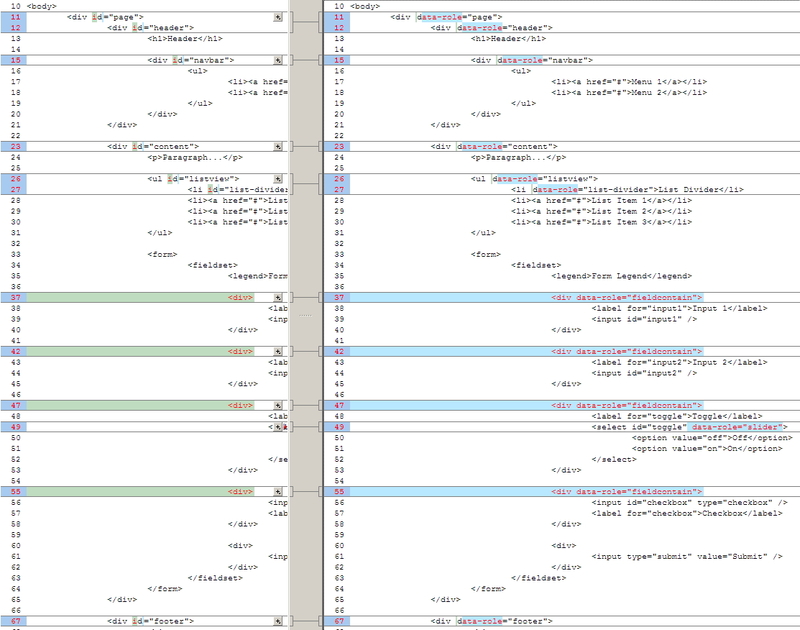 While still in servlet-context.xml change spring-mvc-3.0.xsd to spring-mvc-3.1.xsd. You can change all XSDs to use version 3.1, but that is not required to run our example. "This is the message from the controller!" The add the necessary import statements. 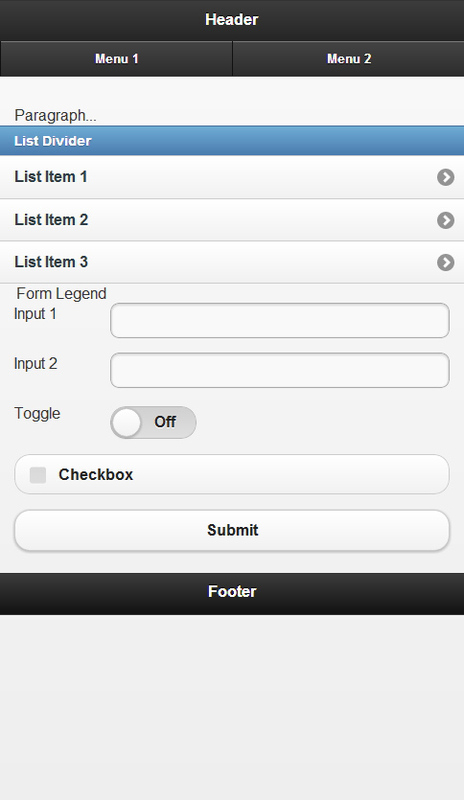 Add the controller method for handling mobile requests. This just adds an extra log and calls the same home controller method. This will make your unit test class compile. 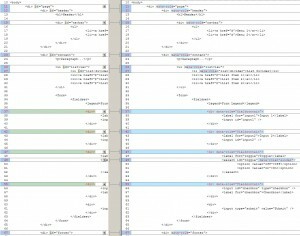 Then add the necessary import statements. 8. For site preferences, add the following before the end body tag in home.jsp. 10. 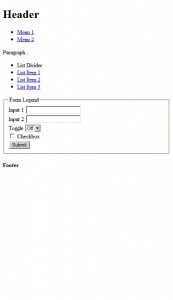 Run mvn tomcat:run and visit http://localhost:8080/quickspringmobile to see your project in action. Project source is also available for download. For more information, please read the Spring Mobile Reference Manual.